Zumba is a type of aerobic fitness program combining different forms of dances with Latin music. This form of workout is usually performed in group exercise classes, in which the moves are choreographed beforehand as per the music to suit the fitness program of the people. It incorporates an interval workout switching between high and low-intensity steps that increase the heart rate, tones the muscles and burns calories, all at the same time. The ease and fun of doing this exercise make it popular worldwide. No additional equipment is required while performing it and more and more gyms and fitness studios are offering Zumba classes. It is combined with varying dance forms like, salsa, jazz, hip-hop, tango, mambo, flamenco, samba, belly dancing, bhangra, meringue, ballet, cha-cha-cha, to name a few. Why choose Zumba as a workout for weight loss? How frequently should you practice Zumba for weight loss? Which Areas Does Zumba target for Weight Loss? Zumba: This workout comprises basic Latin dance and music of high-energy. Zumba Gold: This is designed to suit needs of the older, aged and new participants who are health conscious. Zumba Toning: This high energy cardio workout is aimed at muscle toning, in addition to weight loss. The exercises are targeted at arms, thighs, and abs. Aqua Zumba: It combines Zumba with water aerobics. Zumba for Kids: This incorporates child-friendly steps usually for kids of age 4-12 years so that they can exercise while having fun. Zumba for differently abled: Wheelchair Zumba classes offer workout without bearing any weight. It’s simple and repetitive, you just have to look and follow. Dance and Music make it fun to do. Everyone can do it, as there are different classes for women, kids, the elderly. Knowledge of dance forms or styles is no prerequisite. Minimal requirement. All you need is a good pair of shoes and you can start without the need for any other equipment. Workout for the entire body and every muscle is involved while doing the steps, high on energy, so activates all your senses. Can be done at the gym or in the comfort of your home. Customizable as per your health, requirements, and expertise. The Department of Health and Human Services of America recommends the moderate aerobic exercise of 2.5 hours per week or vigorous exercise of 1.25 hours a week for healthy adults. One hour long session of Zumba can burn up to 300 to 600 calories depending on the intensity of Zumba, fitness level and muscle composition of a particular individual. Core: The dance steps focus on the hips, abdomen, and midsection that gives strength to the core. Glutes: The thighs and buttocks get involved while performing the moves. Arms: Zumba Toning which adds a strength training component to Zumba results in toned arms and more burnt calories. Joints: Regular movement of legs, arms and the twists and turns involved improve flexibility and joint health. Legs: The movements include jumps, bounces, and lunges that work out the leg muscles and hamstrings. Back: The moves do not target back muscles. You can maximize the number of calories burnt by including high-speed moves, engaging your entire body and muscles and keeping a good posture. Move all around more often, bend knees and arms properly and freely between the moves. Consuming more than the required amount of calories results in their deposition in the body in the form of fats. This is the main reason for weight gain among individuals. 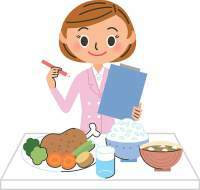 Apart from this, stressful schedules and a sedentary lifestyle also result in increased body weight. Studies prove Zumba as a very effective physical activity that helps in improving aerobic capacity and reduces body weights and measurements. It is also beneficial on psychological and social levels. Zumba has the following benefits on your health. It strengthens the heart and muscles. It enhances flexibility as the moves involve high-impact steps including bouncing and jumping. It helps to lose weight, decreasing blood sugar levels and increasing energy levels. It decreases health risks by lowering blood pressure, reducing bad cholesterol and enhancing the good cholesterol. The Latin dance moves are aimed at abdominal area, place where the fat deposits occur usually. It is a cardio exercise combined with strength and power. It requires moving around a lot with lots of physical activity. This will sweat you up as your body burns the extra fat and calories and boosts your metabolism. This results in considerable weight loss over a period of time. Dance and music elevate mood and is good stress-buster which again helps in weight loss. There are several benefits of Zumba but it is important to be cautious and take the following precautions. It is important to follow the proper technique. If any position or move hurts you, try to modify the activity to avoid further problems. Consult a medical practitioner before trying this regime if you have any health conditions or are on any medications. Also, remember informing your instructor beforehand about them, so that exercises can be changed as per your fitness level. During pregnancy, it is important to consult your gynecologist. Zumba involves high-impact moves including jumps and bounces that can result in body imbalance and loosen the joints. Avoid the high-impact moves also, if you have knee pain, back pain or arthritis because lots of twisting, turning and bending can aggravate these areas. Consult in the case of heart disease, kidney disease, high blood pressure, osteoporosis, disc herniations. Stress fractures in the knee, foot or ankle can take place as a result of incorrect jumping or dancing technique or by wearing improper footwear. Sneakers or shoes with pivot points which enable movement in all directions are considered best for Zumba. There should not be any grips so that you can move freely and easily. Make sure there is enough space for your high-velocity moves around you. Lack thereof can result in falls, injuries or bumps. Keep yourself hydrated and energized as high-intensity workouts make you perspire and you can get dehydrated easily. 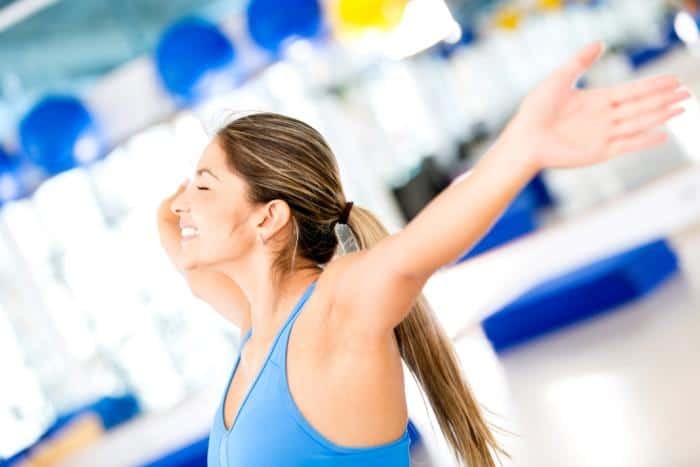 If you have a sedentary lifestyle and are planning on taking up Zumba, do not go straight for high-impact, high-intensity moves directly and start with simpler ones. Sudden physical activity or muscle stretch can lead to ankle sprains, heel spurs, lumbar strains, hip bursitis, shin splints, knee injuries or muscle tear. So, if are trying other weight loss programs and have not seen improvements lately, it is time to give Zumba a shot. It is a sure way of losing weight and attaining the desired body shape while having fun by dancing on your favorite moves and music. Catch up with this exciting trend and see the results for yourself. Next articleBlood Type Diet For Weight Loss: Does It Work? Can Eating Fish Help in Weight Loss?